Meditation is a very common practice among many different spiritual philosophies and religions. The concept of meditation differs from culture to culture and from practitioner to practitioner. Meditation takes many forms. One form of meditation is contemplative and quiet. In this form of meditation one thinks about ideas and actions in order to come to conclusions, solve problems, or make a big decision. Other forms of meditation are more spiritual in nature being about contacting deities, spirits, guardian angels, and even ancestors. All of these practices involve one key concept-being in an altered state of mind. One of the most common things I have been asked about over the years is for a basic incense blend that will aid in basic meditation. Many people are interested in an incense blend that will work for contemplative and spiritual or religious meditative work. 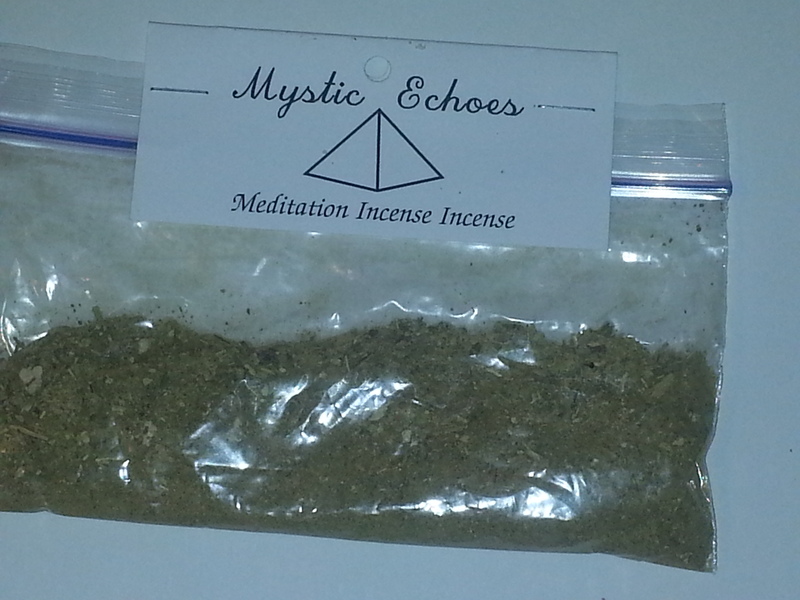 This incense blend here will work for any and all types of meditation and trance work. The meditation blend is a mixture of Frankincense, Ginkgo Leaf, Mugwort, and Myrrh. When crafting the meditation incense blend it was important to think about the qualities of meditation, the types of meditation, and why people meditate in general. With those factors in mind this incense blend was crafted to be able to deal with both religious and spiritual meditation as well as relaxing and contemplative meditation. Frankincense is an herb that is associated very highly with spirituality. Many ritual incense blends use Frankincense as a base for their incense. Many religions and traditions use Frankincense on its own as their ritual incense to create a sense of the sacred and of spirituality. 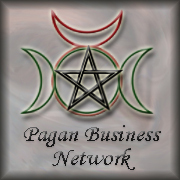 This forms the base for the spiritual aspects of meditation incense blend. Frankincense allows one in meditation to contact to various Gods and Spirits. Ginkgo Leaf is an herb that is mostly used for healing. Here this herb was chosen for mental focus and concentration. Meditation is often practiced as a way to focus ones thought and feelings on a specific event in order to gain insight to solve a problem or make a difficult decision. Ginkgo leaf works as an aid in focusing ones thoughts. This allows one to enjoy this incense blend for contemplative and clear thinking. Mugwort is a powerful trance inducing herb. This herb when burned and inhaled can produce meditative and trance states. This is an herb that will allow for an ease of transition into a deep trance state. This allows one in meditation to travel to the spiritual worlds which were opened also with Frankincense. This also allows the practitioner to be more at ease in the altered state of mind allowing for more clear thoughts and focus provided by the Ginkgo leaf. Myrrh is another herb that is associated with spirituality. Like Frankincense this herb allows one to contact spirits in meditation. Myrrh has an association with meditation as well. The associations with both spirituality and meditation allow Myrrh with the aid of Frankincense to be a powerful gateway to deep and moving spiritual meditative experiences. With Ginkgo leaf this herb allows one to focus their thoughts and come to new thought patterns and realities. With Mugwort this herb allows for deep trance and spirit travel engaging in otherworld practices and developments.